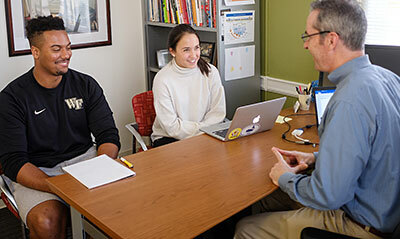 The Rosenblatt Family Hillel at Wake Forest University is a student-run organization that provides Jewish programs for students, faculty and staff. 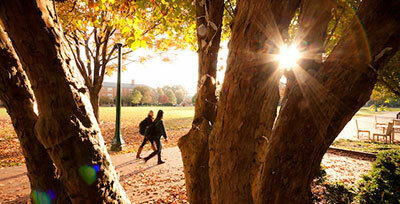 Our active Jewish community on campus is small but vibrant (~5% of the student population self-identifies as Jewish). In the Hillel lounge we host events, including free (dairy/ parve) kosher Shabbat dinners every week and monthly Sunday brunches. We have a great relationship with Temple Emanuel, the synagogue in Winston-Salem, and have partnered on programs like the Challah for Hunger fundraiser, Purim celebrations and community-service events. The Rosenblatt Family Hillel hosts inclusive services on campus for the High Holidays. Rosenblatt Family Hillel frequently organizes diverse lectures, films, and interfaith dinners, and annually co-sponsors a Tu B’Shevat tree planting with the Office of Sustainability. Hillel offers something for everyone, including brunches, pizza nights, bowling, hiking, movie & game nights, holiday celebrations and meals, educational offerings, and social action and volunteer opportunities. We even have our own Intramural franchise, the Matzahballers! 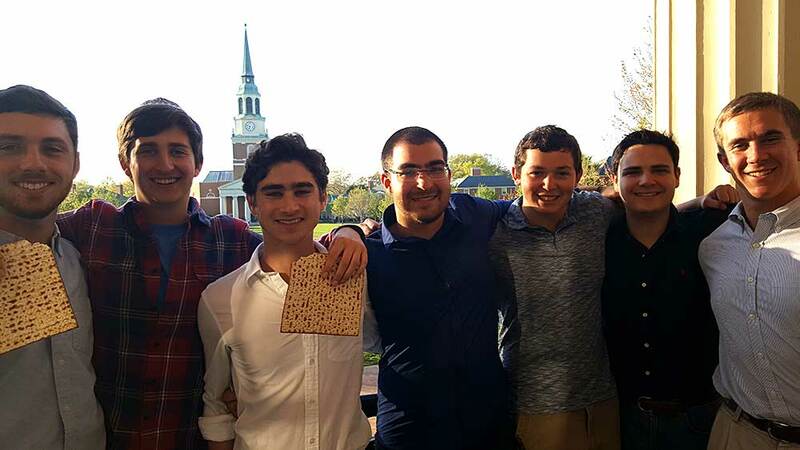 The Jewish students on Wake Forest University campus are very social, and prefer events that bring Jewish students together for fun events and food. A majority of our students come from Reform, Secular, and Conservative Jewish and mixed religious backgrounds (in that order), and many were active in Jewish youth groups (and leadership) back home. Hillel students at Wake Forest are involved in campus-wide Social Action projects like “Hit the Bricks” or “Project Pumpkin” as well as working with the Wake Food Bank, Habitat and other service projects, including local Mitzvah Day. Israel education is an important parts of Rosenblatt Family Hillel at Wake Forest. 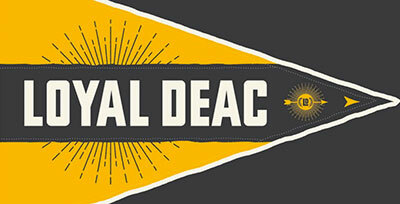 Most major Jewish holidays are celebrated on Wake Forest University campus. 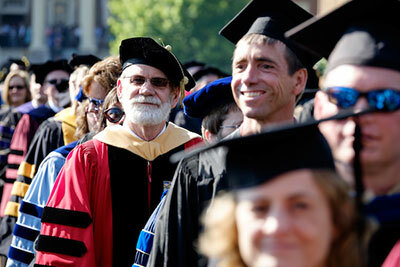 Services are lead by students, faculty, and staff. Holiday meals are organized, cooked, and enjoyed by all members of the WFU student body and staff. In addition, our students are invited to attend local Jewish congregations for free (including high holidays if they chose an option off-campus). Click here for local Jewish congregations. In addition to the amazing education one receives at Wake Forest University, there are other opportunities for informal education, such as individual lessons on how to lead services, discussion groups, workshops, conversational Hebrew, and weekly Judaism 101 classes. To Donate: Thank you for your donations that make our programs possible.